Jorge Ramos is a pretty ridiculous person. The mainstream media is circling the wagons right now, defending Univision and Fusion anchor Jorge Ramos for heckling Republican presidential contender Donald Trump at an Iowa press conference Tuesday night. Calling him the Spanish-language Walter Cronkite, the destination press is doing everything in its power to present Ramos as having the upper hand in the illegal immigration debate. Politico declared “Trump Meets His Match In Jorge Ramos” and the Los Angeles Times apparently wants Trump to apologize. There’s only one problem with that: Jorge Ramos is ridiculous. 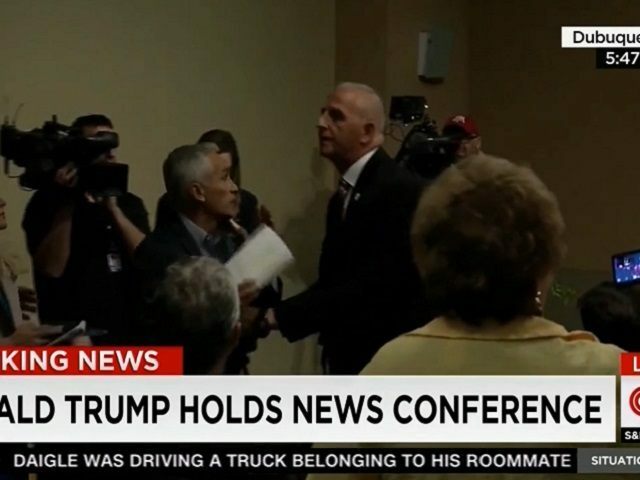 Jorge Ramos, 57, was not asking Trump a question as a reporter when he attacked the Republican at his presser. He was, to cite one of the Left’s own talking points about Trump, being a bully. Ramos wouldn’t shut up, and he actively interrupted the press conference, repeating over and over his line about how Trump cannot deport eleven million people. It was a protest. It was activism. It was college forum theatrics. “I’m a reporter,” Ramos said as he was being rightfully led away by security. That’s the only funny thing he said all night. When Trump cordially allowed him back to ask questions, the Republican pretty handily won their debate. “You cannot do that,” Ramos said when he declared that Trump cannot deny citizenship to anchor babies. It was unclear whether Ramos was citing legal precedent or simply forbidding Trump from doing it. The guy tried to stop Trump from answering any of his questions but Trump answered them anyway, explaining how he plans to build an effective border wall and give some deported illegals the chance to come back legally. “I’ve given you specifics,” Trump said. ‘Nuf said. Ramos’ daughter Paola works ON…HILLARY’s…CAMPAIGN. Ramos said that his daughter working for the campaign would “not change how I approach my duty as a journalist.” So, basically, his biased journalism will continue to be biased, but NOT because his daughter parlayed her last name in more ways than one into a gig trying to get Hillary Clinton elected. 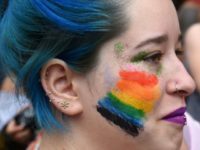 Paola recently got her Master’s degree from Harvard’s ridiculous Kennedy School, and her proud dad Jorge gave a speech there touting Clinton’s poll numbers and warning people that President Obama’s executive amnesty would survive under Clinton but not necessarily under a Republican administration. Ramos, who gets a bit more than 2 million viewers, has no apparent qualms about openly flacking for Hillary Clinton. Maybe it has something to do with Univision’s partnership with Clinton or the fact that the owner of Univision said that a Hillary presidency is his “big dream”? Ramos reportedly makes $3 million per year in salary and has a net worth of $12 million. 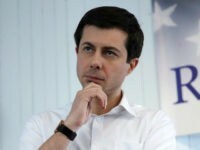 Like most journalists who just advocate for one issue, Ramos had one notable question for all the candidates in 2008, as he was vaulting to slightly-higher stardom. Obama said he would pass immigration reform in his first year, Hillary Clinton said she would do it in her first 100 days, and John McCain said he would do it on Day One. Does that sound like something an objective reporter would say? Or does that sound like something that a ridiculous activist who calls immigration reform “the new frontier in civil rights” would say because left-wing journalism is just openly opinionated advocacy nonsense now. Ramos wanted Trump to know that some Univision poll says Hispanics won’t vote for him. Because apparently that’s a reporter’s job: to influence votes. No wonder Trump is suing Univision.